December 29, 2013 December 29, 2013 thistownissmallLeave a Comment on new and creative City Centre School in Charlottetown – Get inspired this winter! new and creative City Centre School in Charlottetown – Get inspired this winter! Are you looking for something to get you out of the house, meeting new people, learning new skills, challenging your/citycentreschool.ca mind and hands? How about enrolling in one of the 11 inspiring and skillbuilding courses at the newly launched City Centre School in Charlottetown! Courses range from Alternative Art to Web Development and all courses are facilitated by local creative professionals. The classes start on January 7th and are held at Colonel Gray Highschool. Each class will be held on Tuesday evenings, 7:00pm – 8:30pm. This includes a 15 min break for community time, which gives a chance for students and instructors to share what they have learned or simply enjoy provided snacks and conversation. It’s a great opportunity to mingle and meet people from around the community! With a flat rate of $20 to participate, it’s a great way to learn something new at a low cost. The school is also interested in expanding its programming and is looking for volunteer facilitators. Have a skill you can send share with the community? 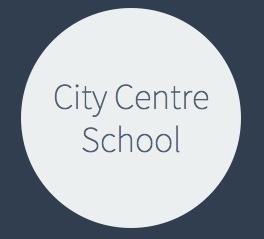 Sign up to teach or help out with City Centre School – another e\way to get involved with and develop your community! Previous small town market gallery toolbox drive!